Are you a business owner with a commercial auto policy? Or, are you an employee furnished with a company car? Do you know if you have proper coverage when you drive a rented or borrowed vehicle? 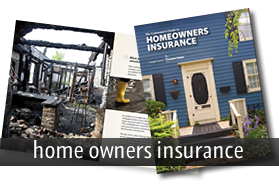 Let Kasmann Insurance Agency help! Let us answer your questions to clear up any confusion about whether you, your spouse, and/or your employees have the coverage they need, when they need it. 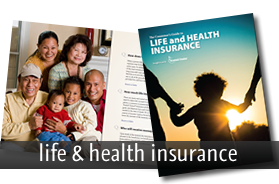 Insurance companies define the named insured as you and your resident spouse. Some companies may also include certain resident relatives, so be sure to check your specific policy form. The named insured has additional rights under the policy that listed drivers do not. For example, only named insureds can receive uninsured motorist and underinsured motorist coverages. Sole proprietors and partners would be “named insureds;” however, owners of corporations and other employees are listed drivers. Often, business owners register and insure all of their vehicles in the name of the business and do not have a personal auto policy. While this may offer savings and other tax advantages, it opens up a serious gap in insurance coverage. If the business owner, or their spouse, decides to drive a vehicle that is not listed on their commercial auto policy (e.g. rent a vehicle for personal use, or simply borrow a vehicle from a friend), he/she would not be covered. 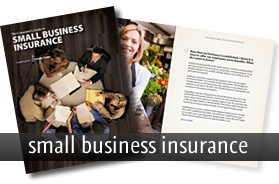 These gaps in coverage can be closed simply by adding an endorsement to the business’s auto policy. Broadened coverage or “Drive Other Cars” coverage extends liability, physical damage, medical payments and uninsured motorist limits from the commercial auto policy to a named individual and their resident spouse, who does not own a vehicle; other resident relatives could be covered for medical payments and uninsured/underinsured motorist coverages. Example: ABC Store, Inc. provides company cars to employees and insures them under a commercial auto policy. John is an employee of the company, who is provided a car for regular use, and who lives with his wife Jane and daughter Jessica – nobody owns a vehicle. The following situations would NOT be covered UNLESS Broadened/Drive Other Cars coverage added is added to the business auto policy: 1. Jon rents a car for personal use and hits another car; 2. Jane rents a car for business purposes; 3. Jessica borrows a friend’s car and hits a bicyclist who files a lawsuit naming John, Jane, and Jessica; 4. Either John, Jane, or Jessica is a pedestrian struck by an uninsured vehicle. Another endorsement that could be essential for businesses is Hired and Non-Owned Auto coverage. Think about how often employees use their personal vehicles to do work-related duties. These duties could include: running a deposit to the bank, delivering an invoice, performing a bid for a job, or even running an errand to pick up office or other needed supplies. The employee’s personal auto policy will not extend coverage to the business. Hired and Non-Owned coverage extends the business’s bodily injury and property damage to rented, borrowed, AND employee-owned vehicles. This endorsement can be added to the business’s auto policy, or sometimes it can be applied to the employer’s General Liability policy in lieu of commercial auto coverage. Along with excluding business use, personal auto policies also exclude coverage for vehicles that are not listed on the policy but are “furnished or available for regular use”. Company cars provided by a business to employees are considered “furnished for regular use”; whereas, a roommate’s car could be considered “available for regular use.” Another gap in coverage is present in these instances, but can be mitigated by adding an “Extended coverage” endorsement to a personal auto policy. Extended coverage is an endorsement solely intended for personal auto policies. It covers non-owned autos furnished or available for regular use. This coverage extends liability coverage only to the person named on the endorsement, their resident spouse, and other resident relatives who do not own a vehicle. Without Extended coverage, NO coverage would be provided under the personal auto policy if: 1. John and Jane have a personal auto policy and Jessica is listed as a driver. 1. Jessica borrows her college roommate’s car and crashes into the front of a laundromat; 2. Jessica buys a car and purchases insurance and moves in with her boyfriend, who also owns a vehicle and has his own insurance. 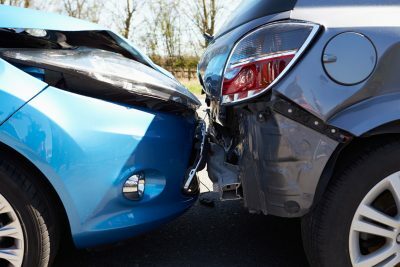 Because Jessica and her boyfriend are members of the same household, but not related, and do not have ownership in each other’s cars, they should both add Extended coverage to their personal auto policies. 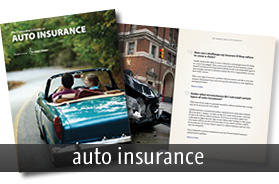 Auto-Owners Insurance is unique in the personal lines market because they actually offer Broadened coverage, or “Drive Other Car,” on personal auto policies. This coverage would be beneficial if a member of your household, who does not own a vehicle, needs liability and physical damage coverages extended to a rented or borrowed car. Generally speaking, insurance follows the vehicle, not the driver; however, not all drivers are responsible and carry insurance, or they may carry low liability limits. The agents at Kasmann Insurance want to keep you informed about situations that may normally be under your radar. We are contracted with many companies (including Auto-Owners) to offer multiple options for your commercial and personal insurance needs. We are happy to help you navigate through your Drive Other Car or Hired and Non-Owned coverages at a price you can afford. Contact us today!